Find out when this dystopian indie will leave Early Access behind. Compulsion Games, in partnership with Gearbox Publishing, recently announced an official release date for We Happy Few. Set to launch on April 13th, 2018 for PC and Xbox One, the announcement also revealed that the game will release on the PlayStation 4 the same day. We Happy Few will be priced at $60 (USD) and will be available in both physical and digital copies. 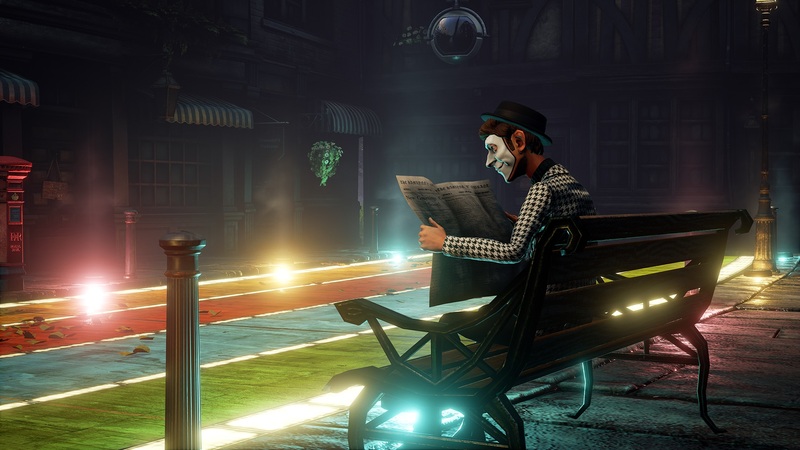 If you played through the game’s Early Access on Steam, you’ll be happy to know that the official release of We Happy Few will include new features such as a full-length story campaign, three different playable characters, and over 250 unique encounters. Additionally, players who already own an Early Access copy of We Happy Few will get the full game for no additional charge when it releases in April. Should you decide to pre-order We Happy Few at select retailers, you’ll snag a 15% discount as well as the Jolly Brolly parasol. Players who pre-order the game on the PlayStation Store will receive an exclusive We Happy Few theme. Meanwhile, those who pre-order through Steam, GOG, the Humble Store, or the Microsoft Store will get instant access to the alpha version of the game. 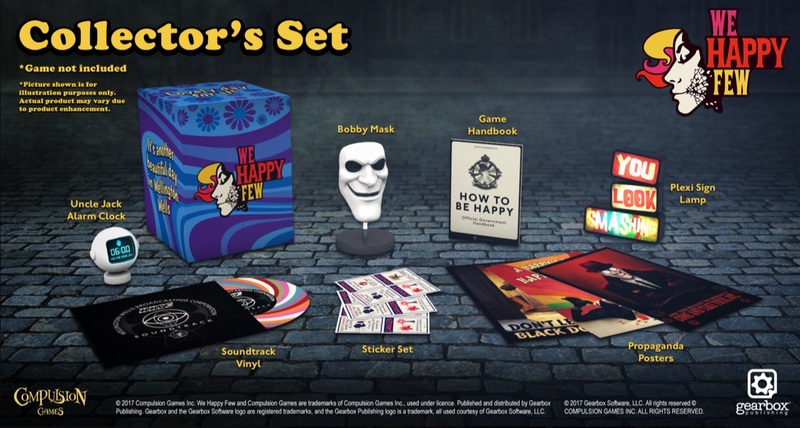 For all of you collectors out there, a special Collector’s Edition of We Happy Few is also up for grabs for $150 (USD). While the Collector’s Edition doesn’t include an actual copy of the game, it does feature a replica Bobby mask, the game’s soundtrack on vinyl, a “You Look Smashing” Lamp, a Joy alarm clock, and more. Are you excited to hear that We Happy Few is officially launching this coming April? If so, what are you most looking forward to? Let us know your thoughts in the comments below!